The Fastest Way To Improve Performance? 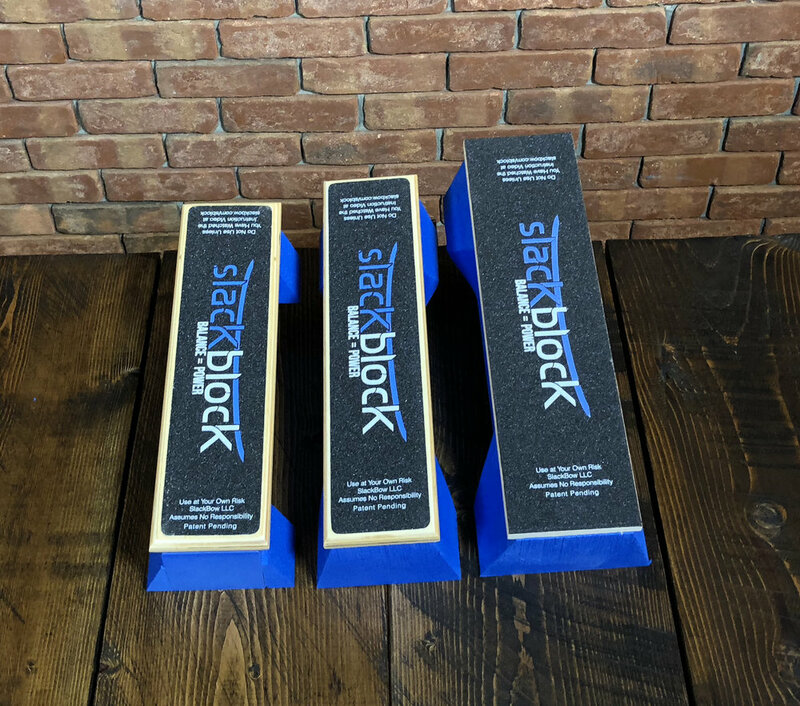 The SlackBlock Comes with the Patented SlackBow Athletic Balance Training Method. Invented by the author of Balance is Power! Save big and be part of our Re-Kickstart Campaign. for two minutes without stepping off. Bet you can't do it. Send us a video link of you doing this for two minutes without touching and I’ll post it on Instagram. Your balance system is the boss. You cannot out-perform your balance skills. If you run and change direction faster than your balance can control then you will fall or stumble. Your balance system is designed to protect you. It will subconsciously throttle your speed to what the balance system can control. 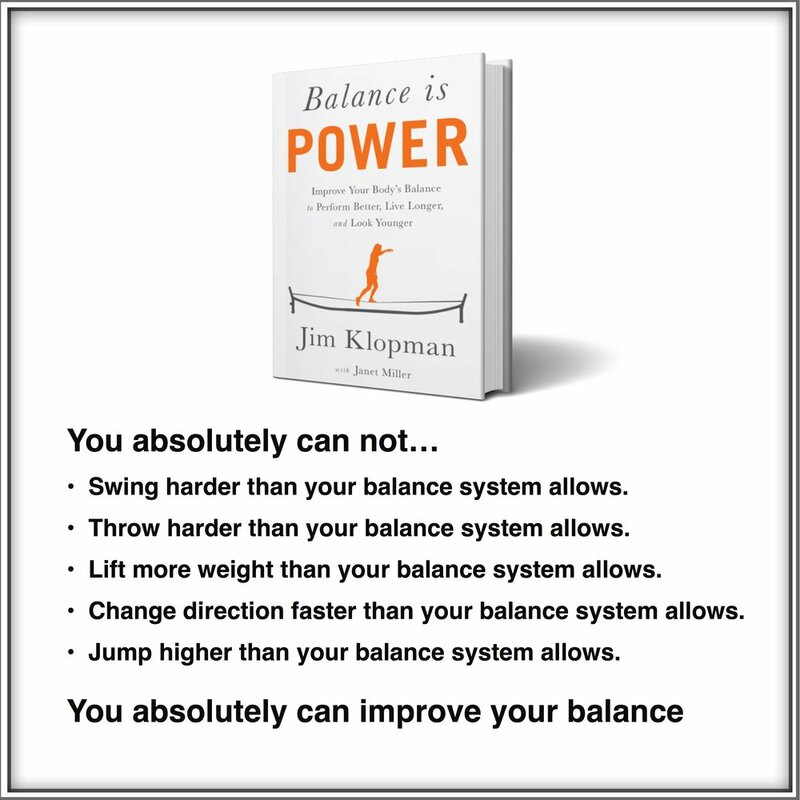 You cannot swing a bat, a golf club or a tennis racquet faster or harder than your balance system allows. Everyone knows if you "over-swing" you loose control and power. Increase your balance and almost like magic you will swing faster with more control. You can't throw any better than what your balance system allows. Many great pitchers lose just a little bit of their edge and become hitable because of an unfelt and unreconized loss of balance. The same is true for shooting a basketball or rolling a bowling ball. If you need to take aim, better balance will make you better. Improved balance brings better thinking, more fun and a longer life. Falls are the #1 cause of ER visits for people over 45. They are the #1 cause of accidental injury for people over 65. These numbers have been steadily rising. We are getting worse, not better. Current shoe design destroys your balance skills. Raised toe box and heel cause a bad body position and posture. Do you want to hang out at your dull, drab, zero balance office? You want to get out and play. Play golf, soccer, hockey, ski, run, paddle, surf, tennis, hike, climb. It is not the movement that makes you feel better. Challenging your balance is what makes it fun. If it was just movement then going to a gym would be fun. In football and basketball this year there have been a large increase in catastrophic lower limb injuries. No one from the fitness industry has stepped up to say "Maybe we are doing something wrong." Strength and Conditioning is always focused on strength of the isolated large muscle groups. Why not more time spent on balance? The balance system is the basis for agility and coordination. You don't use every muscle, every second when you play a sport or even when you just live from hour to hour. But... like your heart rate beats non-stop, your balance system always is always working..
How come you don't work on training your balance more? Written in a simple logical style. You don't need to refer to your high school anatomy book to look up latin words for each and every muscle. There are no latin words. Just a clear logical presentation of the balance system, why it is so important to a better life, better sports performance and how to improve it. Why the very best athletes have the best balance. What the four modern lifestyle conditions that cause non-disease related balance loss. Why balance training is the key component to concussion recovery. Why balance challenges are what my you happy and think better. 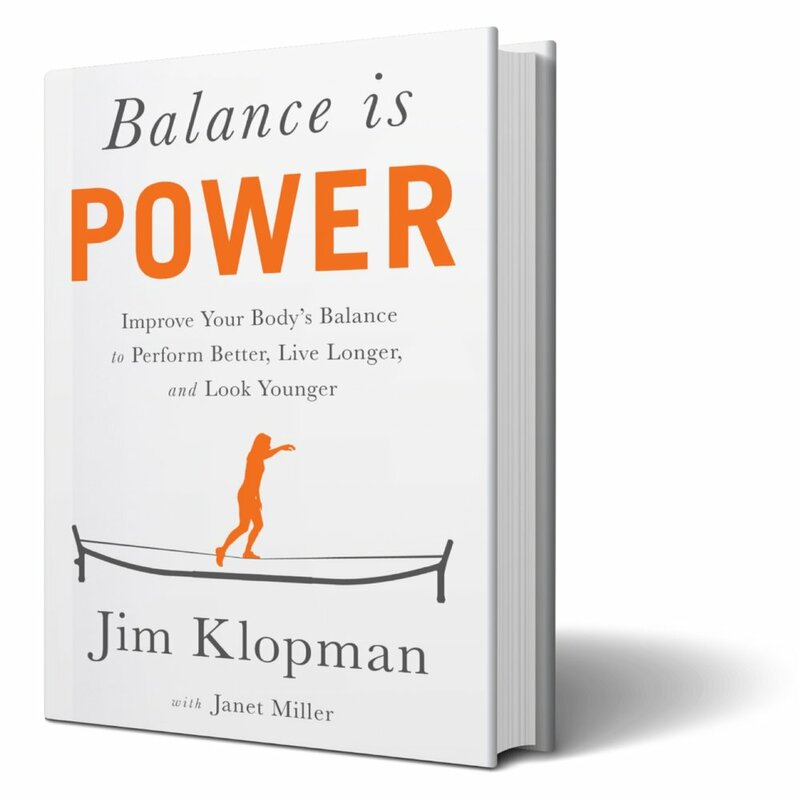 Why the balance training with you eyes closed is just making you a well balanced blind person.